4 Celli. This was originally for string orchestra; it includes 6 short movements imitating Renaissance style but with modern harmonies. This revised arrangement put the high difficult lines in cello 1 and cello 2 while less difficult, bass clef material in cello 3 and cello 4. 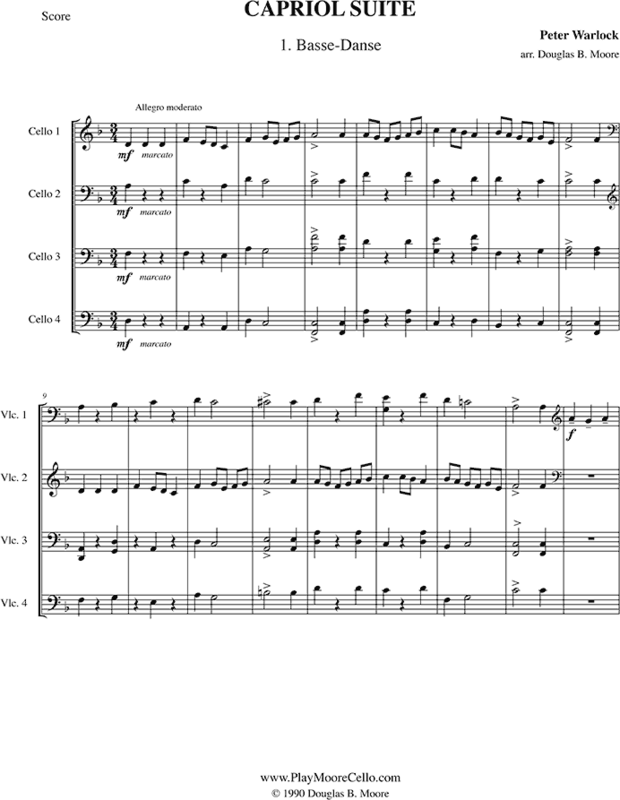 This arrangement has been played all over the world; there is a YouTube video of the German Mercano's Venezuelan quartet.